Transportation System Alternatives Study | Resource Systems Group, Inc. 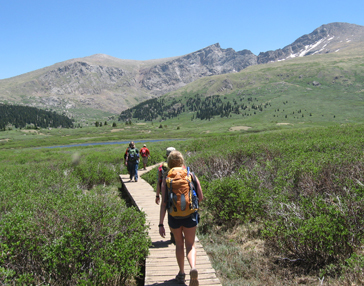 The Arapaho-Roosevelt National Forest (ARNF) is located within a one-hour drive of the Denver/Boulder metropolitan area, attracts over 23 million recreation visits annually, and is one of the three most-visited forests in the National Forest System. 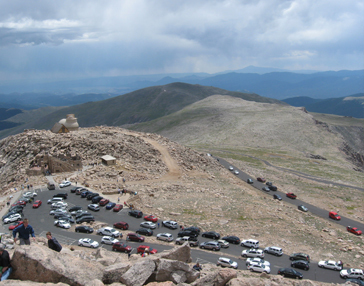 Mount Evans Recreation Area, Guanella Pass, and Brainard Lake Recreation Area are among the most popular recreation sites on the ARNF and receive intensive visitation during summer months. 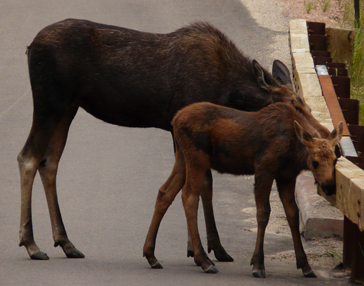 Correspondingly, these sites experience traffic congestion, parking shortages, and visitor crowding during peak periods, which negatively impact traffic safety, visitors’ experiences, and forest resources. RSG is working with the U.S. Forest Service (USFS) to improve transportation and resource management at the sites noted. In particular, RSG is conducting transportation data collection and analysis, visitor survey research, and visitor use measurement and modeling at the sites noted. RSG will use data collection and analysis results to identify alternative transportation and congestion management solutions that are financially sustainable and effective at improving transportation conditions, enhancing the quality of visitors’ experiences, and protecting forest resources. RSG will document the results of the study and provide recommendations in an Alternative Transportation Systems Feasibility Study, which the USFS will use to acquire funding and implement transportation, recreation, and resource management improvements on the ARNF.